2. 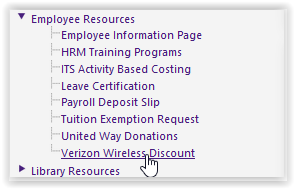 From the panel on the left-hand side of the homepage, click Employee Resources | Verizon Wireless Discount. 3. 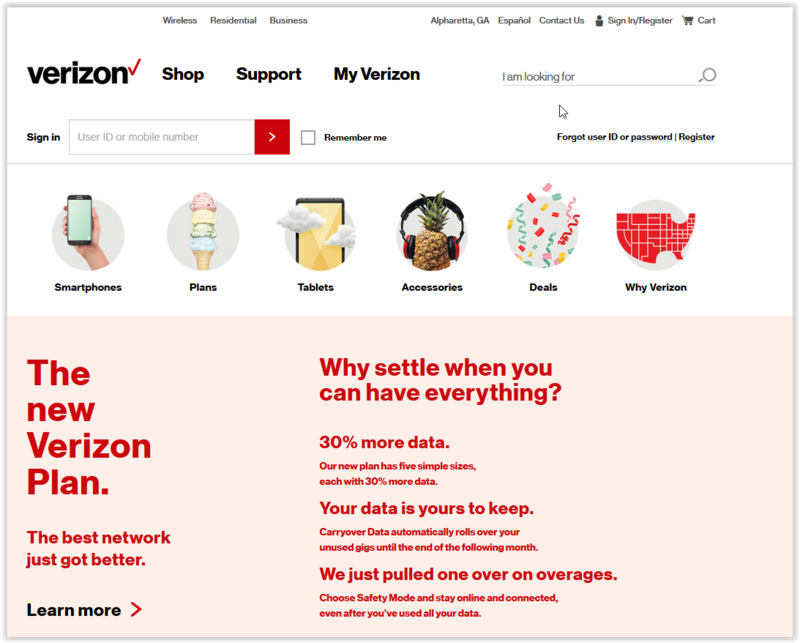 You will be directed to the Verizon Wireless Discount page as seen in the image below.